The blog tour for The Girl In Between series starts in just three weeks (EEK!) and I’m offering Indie Author Spotlights every Sunday throughout the tour in an effort to share the wealth! If you’re interested in swapping spotlights please send me an email at lzkbooks[at]gmail[.]com. I’m pasting my original “Call To Bloggers” post below in case anyone needs more information on the tour. The blog tour for The Girl In Between series officially starts on November 1st and runs through the end of December. If anyone is interested in hosting a giveaway, book spotlight, author interview, or posting a review in exchange for a spotlight on my blog, please keep reading! The Girl In Between is already available for purchase and the second book in the series, The Boy In Her Dreams, will be released at the end of this month on October 31st. The third book in the series will be released by EOY as well. I have Smashwords coupon codes available and am looking to give away a TON of copies so please contact me if you think your blog readers would be interested. I know a lot of my fellow indies like to swap spotlights and may have other memes or features available, so if anyone is interested I LOVE conducting interviews and am planning on featuring every indie author who participates in the tour. If you have a new release or even just an old release that you’d like some exposure for, or even if you’re unpublished and would just like some exposure for your blog, I’ll be posting spotlights every Friday throughout the tour to an audience of almost 1,000 followers. Each spotlight will include a brief interview and whatever other promo you provide. FYI the last time I ran a blog tour for my novel Breathing Ghosts, my stats were exponentially higher and I was getting almost 100 views a day. That may sound like small beans to some of you with more successful blogs but if anyone else out there is struggling with getting traffic, a spotlight during my blog tour could provide some decent exposure. Also, if you’re just looking to score some new content for your blog, maybe on a day you don’t have time to prepare something, I’m open to writing guest posts or any other content you can think of. 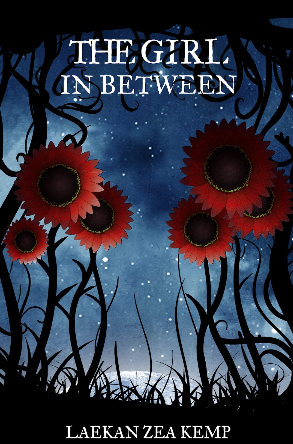 If anyone is interested in review copies I have The Girl In Between and The Boy In Her Dreams available in MOBI, EPUB, and PDF files. Send me an email at lzkbooks[at]gmail[. ]com if you’d like to post a review during the tour or even if you’re busy and would like to post one after. My goal is to get at least ten reviews on Amazon by the end of the month so I can potentially experiment with some promo sites like Bookbub, and then relay my results here on the blog of course. If after reading all of this anyone is interested in participating in the tour, drop a comment here with your email address or shoot me an email at lzkbooks[at]gmail[.]com ! I appreciate everyone who took the time to read this post! Thank you all for your support! I know I spent the majority of July blogging about the harsh reality of being an indie author but after exposing you to the awful truth, I thought I’d expose you to another truth, this one sweeter and, believe or not, just as possible. I haven’t sold enough books to make writing my full-time gig just yet. In fact, on top of writing every day I also work sixty hours a week between my two jobs. It’s exhausting and I long for the day when I can give it all up and just live in my yoga pants in front of my laptop. But even though that might sound like a pipe dream coming from someone who has sold less than a hundred books in the past two years, the truth is it’s not. The truth is being a successful mid-list writer isn’t just attainable, but if I continue to put out quality books and build my readership one person at a time, it’s actually inevitable. If you’re a follower of The Passive Voice then you’re probably already aware of their popular post, Indie Authors Quitting Their Day Jobs. It’s pretty infamous among aspiring and experienced writers alike because it’s a running list of indie writers who have had the pleasure of leaving the drudgery of nine to five behind. More than 500 comments have accumulated just in the past couple of months from indie authors who not only make a living wage from their writing but from writers who were able to pay off their mortgage, or bless their spouse with an early retirement, or build their dream home, or get out of debt all because they took a risk. Because they had the guts to publish their work on their own. Because they had the guts to believe in themselves. I know I’ve often warned those new to self-publishing not to let their expectations get out of control or to craft a dream that relies more on luck than hard work but I also don’t want any of us to stop hoping. Because this is what can happen when we hope. When we believe in something so strongly that we’re willing to risk everything in order to make it happen. Not all of these indie authors are mega-rich. In fact, most of them don’t make much more than what’s required to pay their bills. But whether they’re selling thousands of copies a month or just a few hundred, these authors are still living the dream. Because they’re writing every day and no one is telling them what they should write about or how or when or to hurry or slow down or change this or change that. They are in control of their words and because they’ve stayed so true to them, they are in control of their lives. Creative and financial freedom can go hand in hand, all it takes is a lot of drive and a lot of patience. For some of these authors it took years to build their readership, their backlists in the double digits before they finally started generating steady sales. For others it took even longer. But they kept going, hoping for success but never wishing for it. And then it happened. It can happen for us too. If we just keep writing, every single day, it can happen for us too.